Probably its just me misunderstanding the whole point of what engineering is for – to make it easier, more efficient more conducive to (in this case) traveling on the canal, yes that’s it…it’s just me again. Swing bridges that leave one on the wrong side of the canal so unable to access the boat once the bridge is open…I was thinking maybe the barge pole could be used as a pole vault to get back across the canal to ones boat so as to take it through after the bridge had been opened and then get back again after to close the bridge or perhaps they are designed so boaters could drop off their spouse/traveling companion so other boaters could pick them up and make new ‘friends’…dunno. 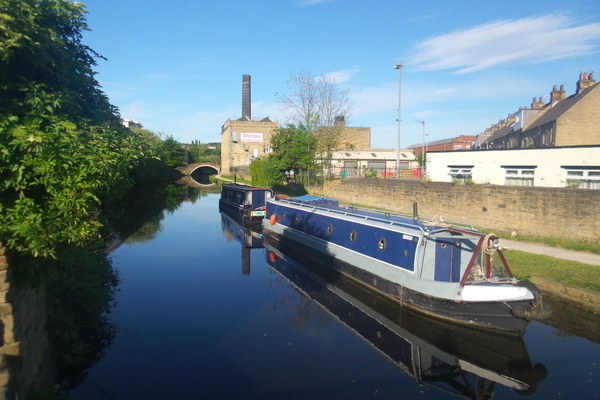 How much would it cost to put up a pontoon so boaters could moor on the correct side ‘do’ the bridge and then moor again after and close the bridge again afterwards. How much…that much wow would it take a think-tank as well so lots and lots of money once the management have been paid. Front line workers from C&RT are great almost to a man and/or a woman though thus far I haven’t met a woman C&RT lock-keeper or worker but the system put together by management lacks credibility. Today I have encountered stuck swing bridges – so stuck they used all my strength and ingenuity to get them to move. Lying on my back on the non-lever end pushing with my feet to get them going then jumping up all in a hurry to clamber onto the opening bridge so I didn’t fall in and working my way back to the lever end as the bridge opened on its own momentum. Then to find the lever hovered over the water so with all my might I’d have to pull the lever grunting and squealing (like a pig) because without wings it is impossible to push the thing.There are the ones that have manually operating barriers that don’t stay shut and don’t lock shut, give no warning to stop the traffic which keeps on going until the bridge actually moves. 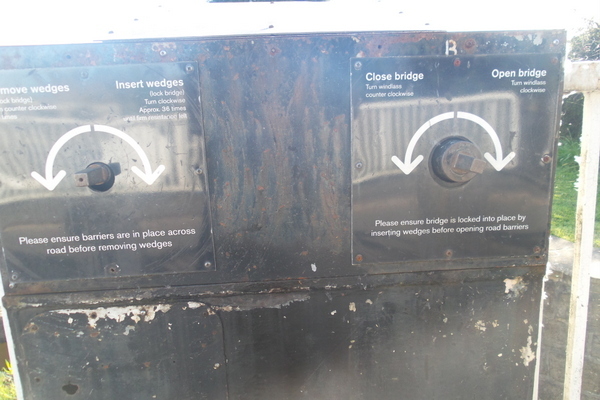 At bridge 218 on the Leeds/Liverpool the thing would just not move to open at all and the number provided on the bridge to contact the authority led to a trail of operators telling me it had ‘nowt’ to do with them and they had no idea where I was unless I could give them a post-code. The fantastic C&RT dude brought a transit van with a tow hook and used a rope to haul the thing open…we (my fellow single boater and me) tried to cool it with water, tried to use the boat to haul with members of the public a pushing (bless them) to no avail, we tried oiling it, hauling it, shoving and a pushing it, shooshing it (sounds like a Val Doonican song), pulling it but only the transit did it until we were knackered…despite the muscles of the mighty but only the transit worked. Consequently we only managed 8 miles today and were finally stopped at the top of Newlay locks because of kids swimming in the locks and vandalism on the lower lock meant work was in progress. 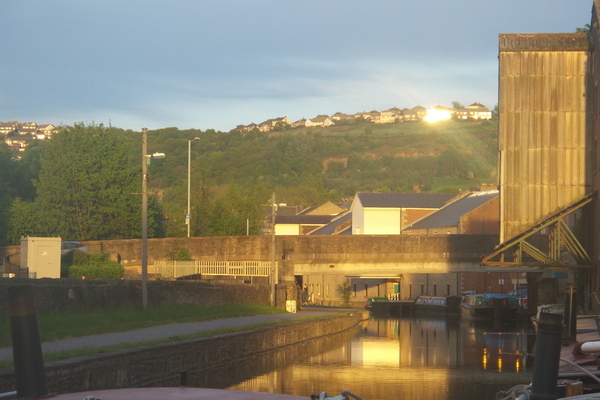 Now we’re moored at the top of Newlay locks (operated only by the C&RT) as there is no going forward today. He (C&RT) is meeting us tomorrow at 7.30 am for an early start to get through. So am now absolutely worn out and off to bed can’t wait for me head to hit the pillow as I know I will be straight out tired as I am.